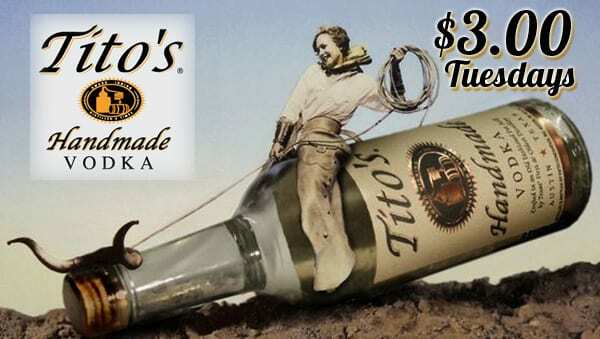 Tito’s Vodka Tuesdays! 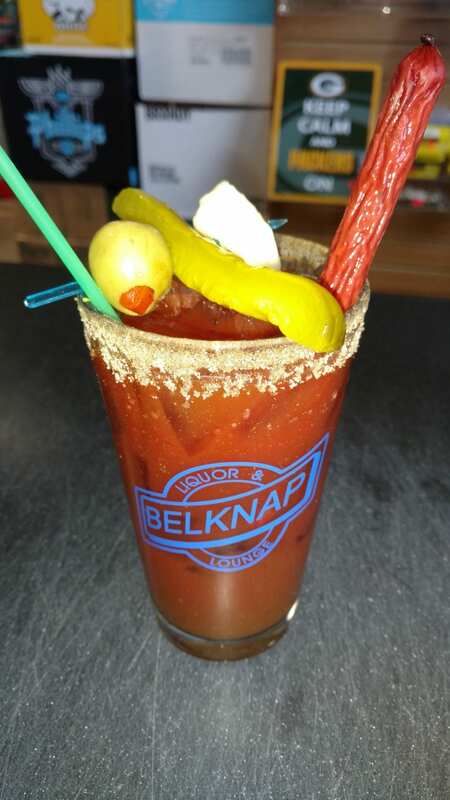 Only $3.00 All Day Long! 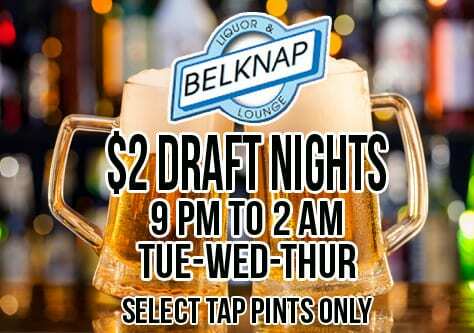 $2 Draft Nights! 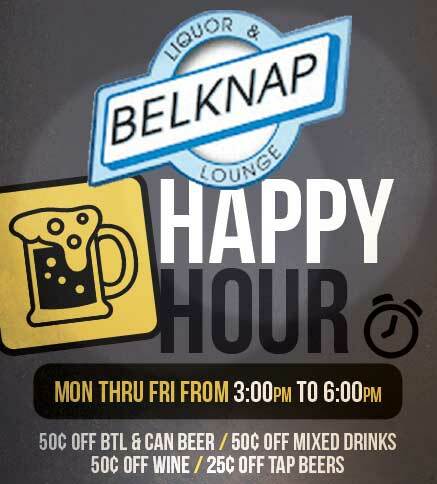 Every Tuesday, Wednesday & Thursday 9 p.m. until 2 a.m Select Draft Pints. 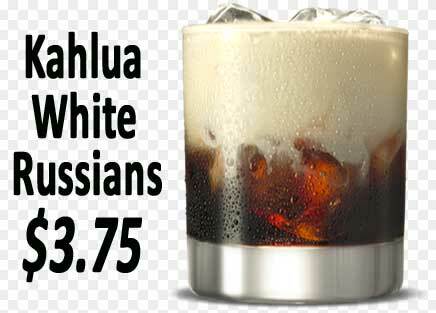 Enjoy a thirst quenching, mind-bending White Russian crafted with quality Kahlua! 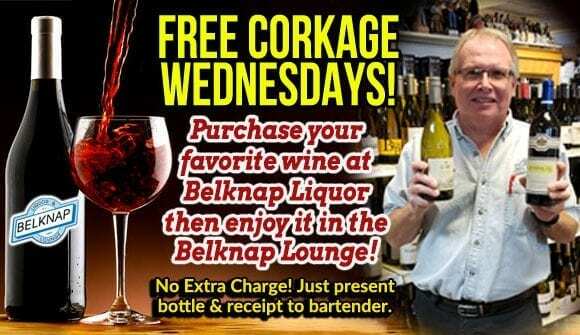 Simply purchase a bottle of your favorite wine in the Belknap Liquor Store, then bring it into the Lounge with your receipt and ask the bartender to open it for you and provide you with glasses! A $5 savings! 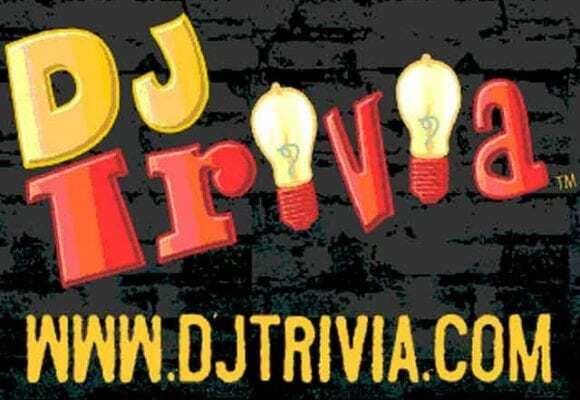 Have fun testing your knowledge, win prizes and listen to great music! 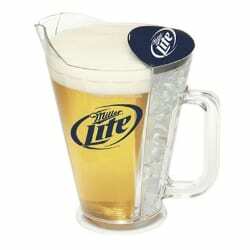 No cover charge and must be 21+. 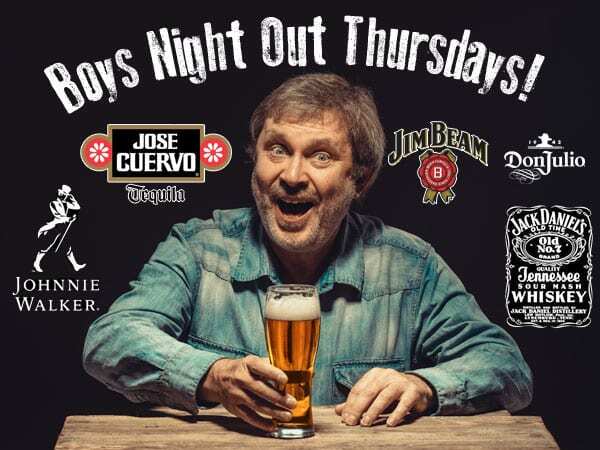 $1.00 OFF of Don, José, Jim, Jack or Johnnie on Thursdays. 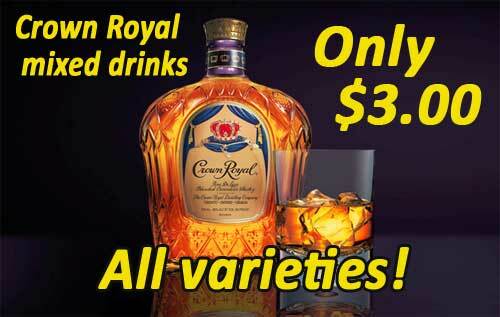 Your choice of Don Julio or Jose Cuervo tequilas, Jim Beam or Jack Daniels whiskeys, or Johnnie Walker scotch. Here’s to Boys’ Night Out! 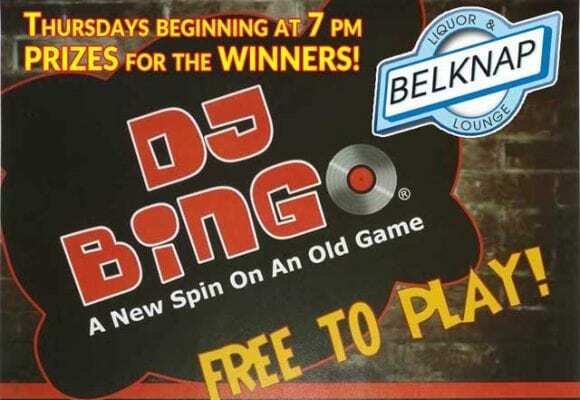 Have fun playing bingo, hear great music and win prizes! 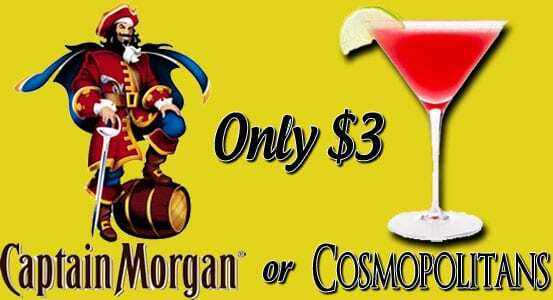 No cover charge and must be 21+.